Welcome To Your Senses: The Andharbalti !! Vaiko - President of MDMK is now with AIADMK. This, ladies and gentlemen, is the Grand opening event for TN Elections 2006. Await for more to come. Sun TV is on a Damaal-Dimeeel-Dishyum pulambals since the decision has been made. Im yet to watch Jaya TV. Thogudhi Pangeedu is always a Pralayam in TN Elections, and I guess it has played a part in this shift of camps. I was happy to see Vaiko's movements ever sicnce he got out of jail. All the good things he did, and all the good projections he made. I wish he stands separately without an Alliance, and wins a considerably good number of constituencies. We can do good to people, with just an MLA seat. Its not necessary to be in the Ministry. MDMKs move is definitely a setback for the DMK. And many people would talk about his part of memory, where he was imprisoned under POTA. Well, I completely understand this move, and it is not required to think that way in the TN Politics. Alliances of any form, in that case, is built with compromises. Considering the kind of alliances Congress and BJP made, this is no big deal. Hmm.. lets wait and watch. Whats up Dr. Ramadoss ? already the Tirumavalavan called MDMK and PMK to join in ADMK. 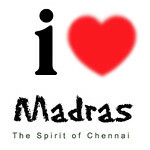 his pray dint go loss, MDMK had joined, we dont know what PMK going to do. i have also put a post of Viko. 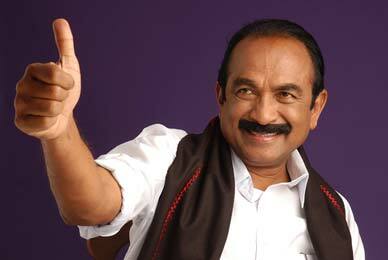 Vaiko :Welcome to your senses ! !